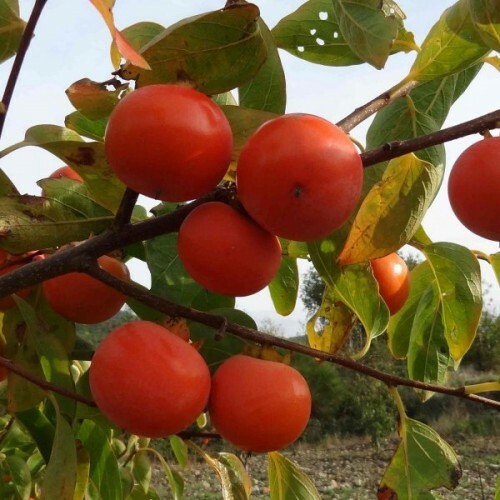 The Asian persimmon is a deciduous tree widely grown for its flavorful peach-sized fruits. Native to China, this long cultivated plant has been much improved by selection and breeding. 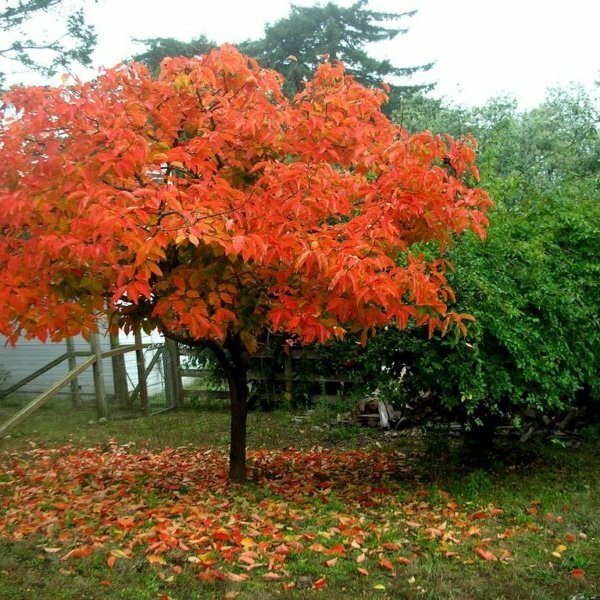 The beautiful small tree has large, glossy, elliptical green leaves that turn lovely shades of orange, yellow and red in fall. 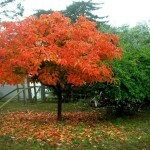 The flowers appear in spring. Persimmons are commonly dioecious, which means that some trees only have male flowers while others only have female flowers, though some cultivars like have both. 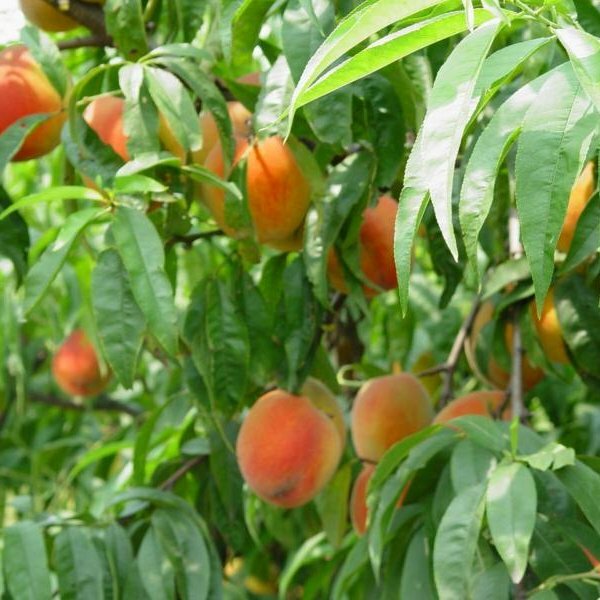 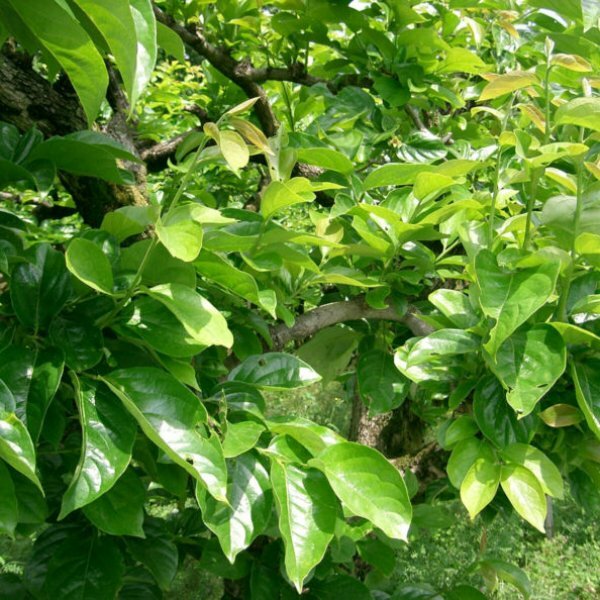 This is vitally important for fruiting because only female-flowered trees produce fruit and male flowers are needed for pollination and fruit-set. 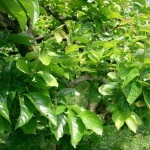 The female flowers are small, waxy, ivory and have four petals. 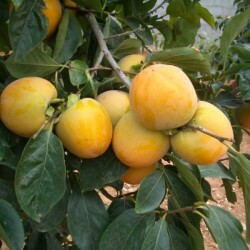 Their desirable fruit develops over the season and matures in fall after the leaves drop.